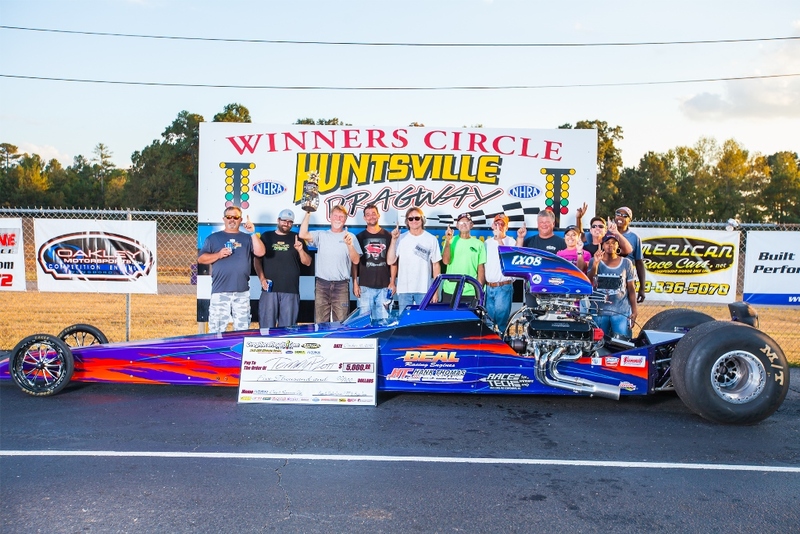 Event #3 of the 2016 DRR Ultimate Series in Huntsville, Alabama this past weekend saw clear blue skies, great racing action, and a phenomenal field of over 180 Big Bucks Bracket Racers from across the country competing for over $100,000 just in Big Checks for the 3 day race. Thursday kicked off the 4 day long event with the Champ's Performance FTI Warm-Up Test-N-Tune where the evening was completed with a "FREE" Run for the FTI Converter to all Test-N-Tune participants. 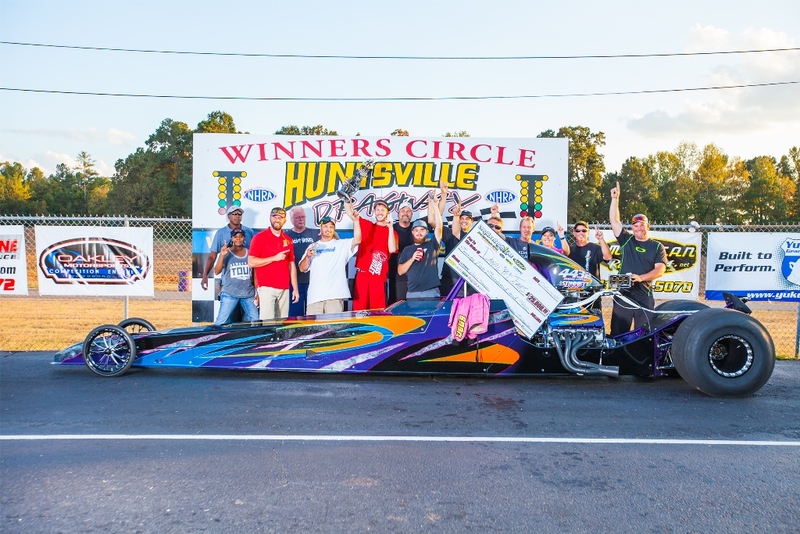 When it was all said an done, Tennessee racer Mark Swoner and his SBC powered altered took home the FTI Converter from Champs. 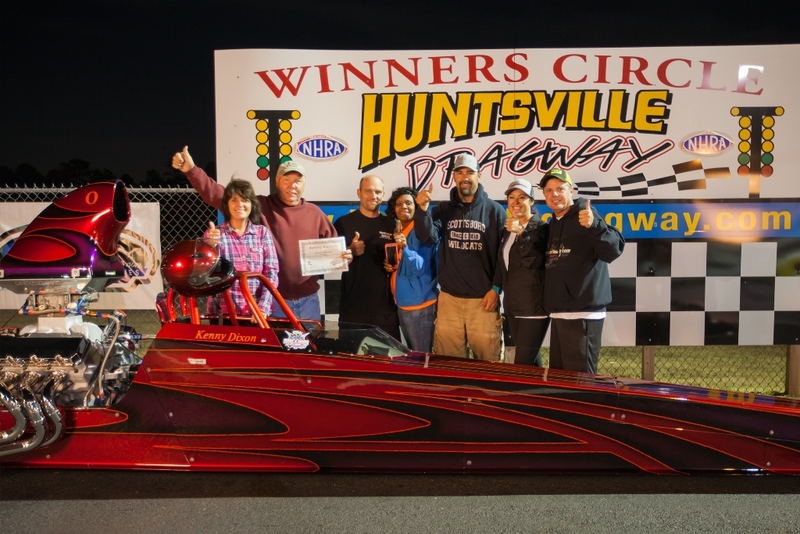 Randy Scheuer Jr from Ohio made the trip south to Huntsville pay off on the first day. 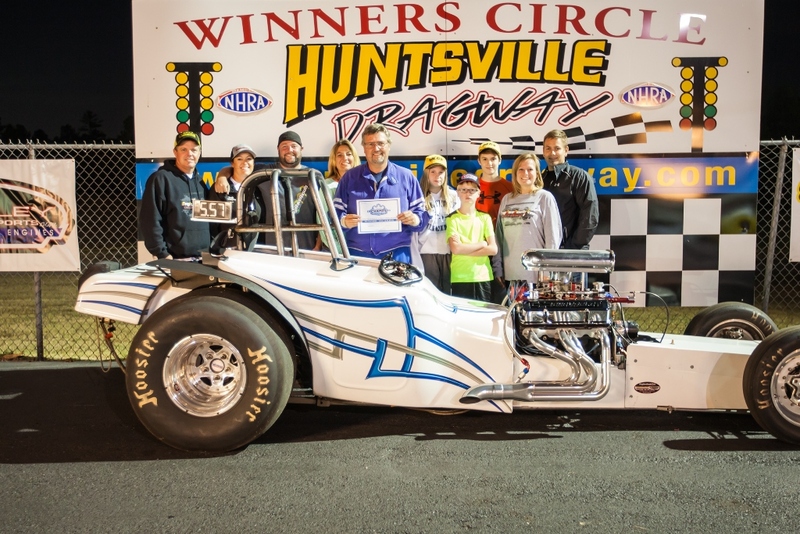 Driving the Ken Bear American Race Cars built dragster to the BRODIX $25,000 victory over a read lighting Heath Davis. 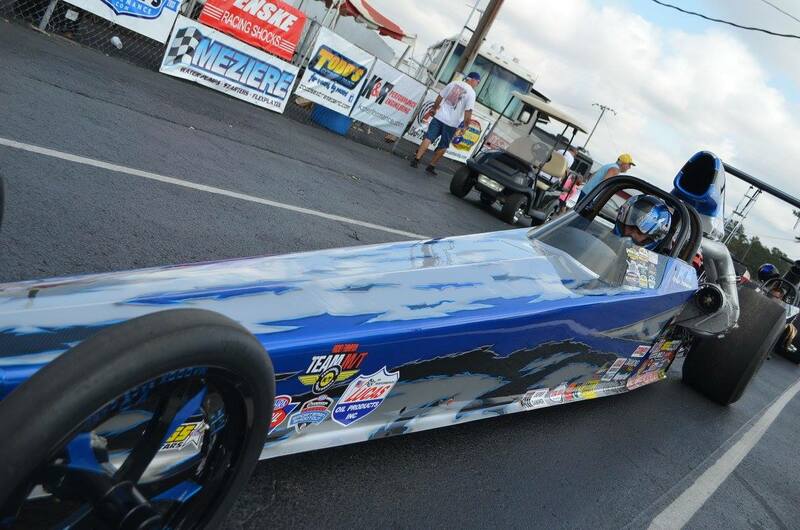 Scheuer dialed 4.71 all day showed his strength lighting up the boards 4.708 on the final pass down the track. 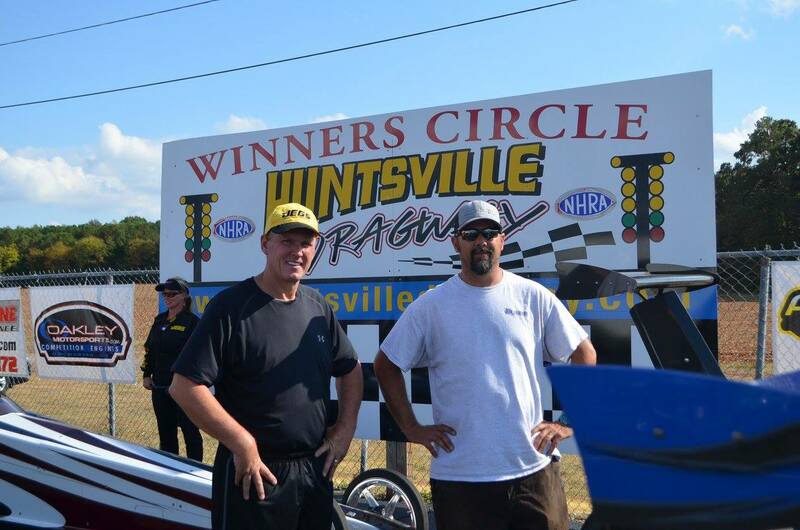 Lester Adkins was Scheuer's victim in the Semis where he layed down a .003 dead on 6 lap for a 9 pack. 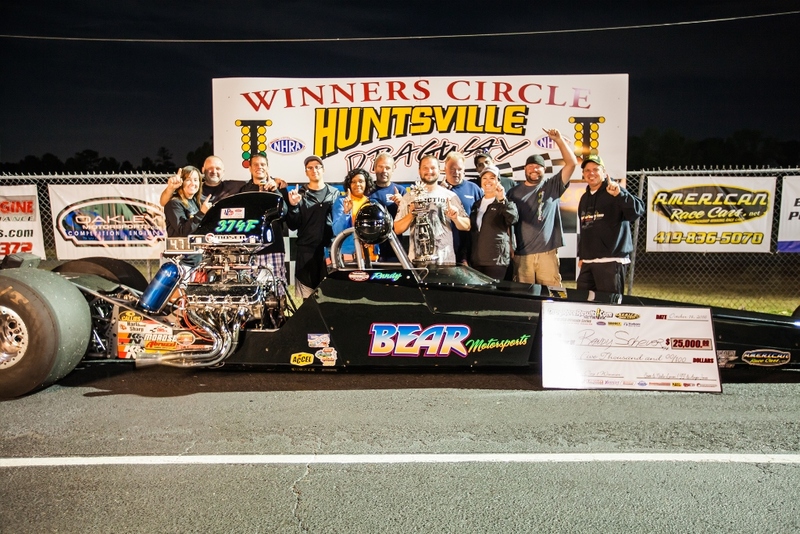 Local racer Heath Davis brought his Huntsville Engines backed dragster to the other side of the BRODIX $25K final round with a victory over Carolina's Chad Duke in the Semi Finals. 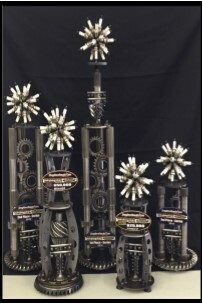 After minimal racing in 2016 because of a new business and a new bady, Heath was extremely happy for his performance, the "Big Check" and the DRR Ultimate Series Cold Hard Art Trophy. 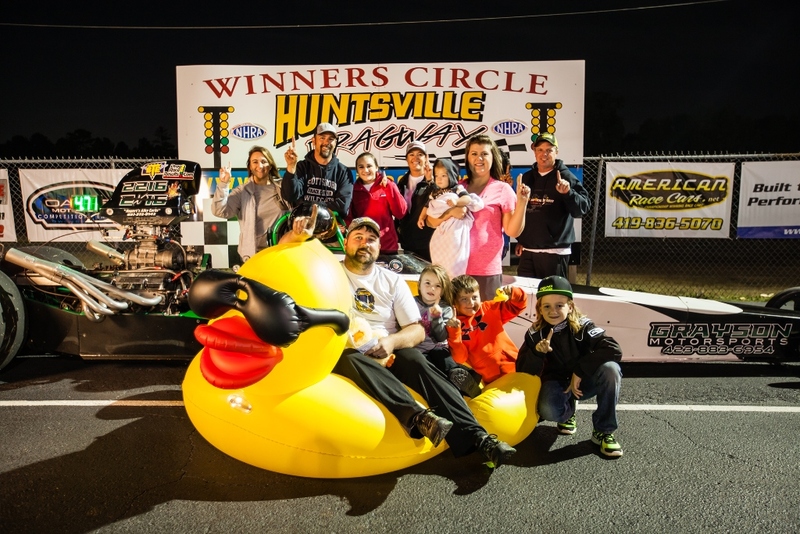 Matt Grayson won the Quick Fuel Technology Duck Race Friday night when he defeated Brett Williamson in the "FREE" 16 Car Shootout for the QFX Carburetor. 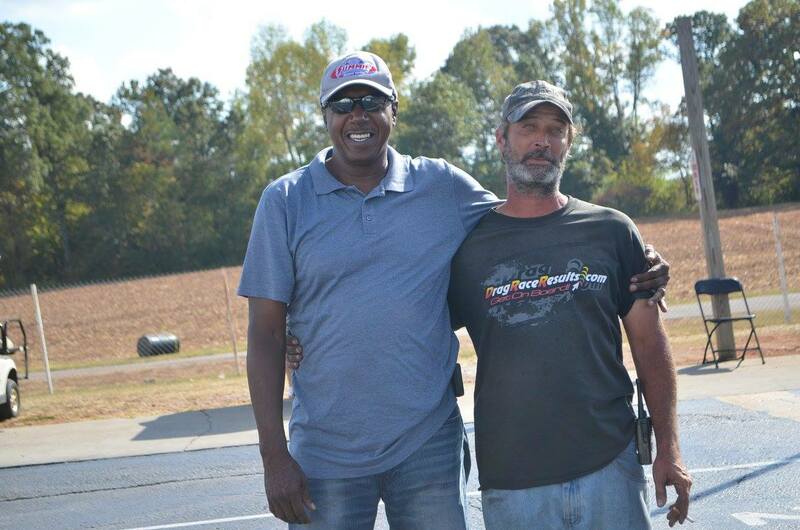 Williamson received $250 and the Semi Finalists each received $150 thanks to Quick Fuel. 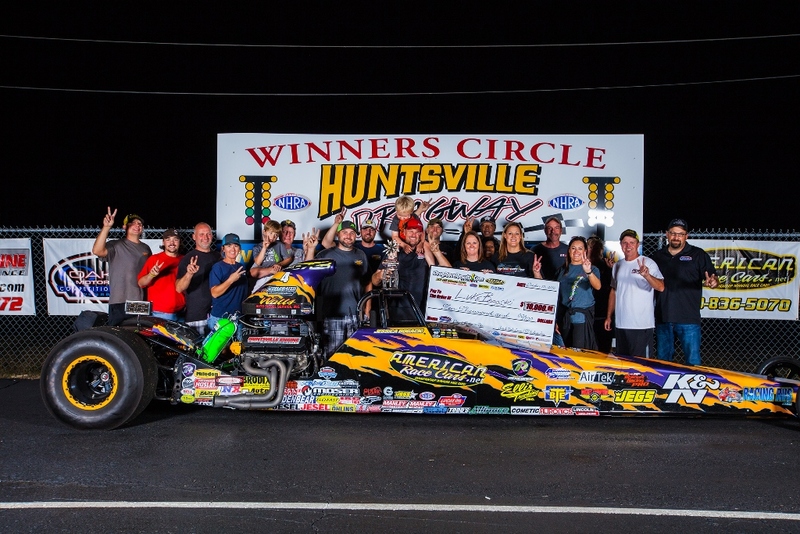 Nick Ross out of Gardendale, Alabama secured the biggest victory of his young racing career on Saturday Night when he won the Oakley Motorsports $50,000 main event defeating Luke Bogacki in the final round. Ross who's gorgeous red Camaro was stuck on a 5.80 all day long. 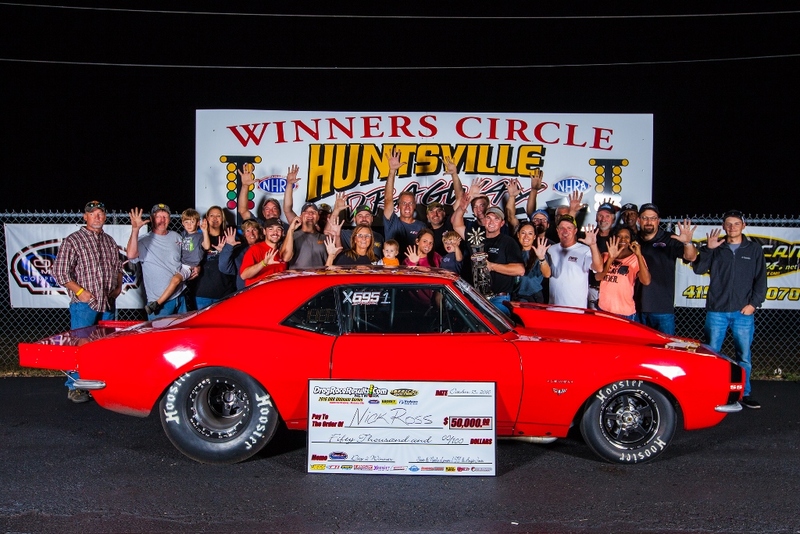 When Stephen "Champ" McCrory turned it red in the Semi Final round, Ross laid down a .010 two thou under pass to set himself up with the soon to be crowned 2016 DRR Ultimate Series Champion and Luke Bogacki. Bogacki who also was a recipient of a red light by Aaron Vail in the semi finals uncharacteristically met the bulb in the final round against Ross and bowed out with the Runner Up spot. 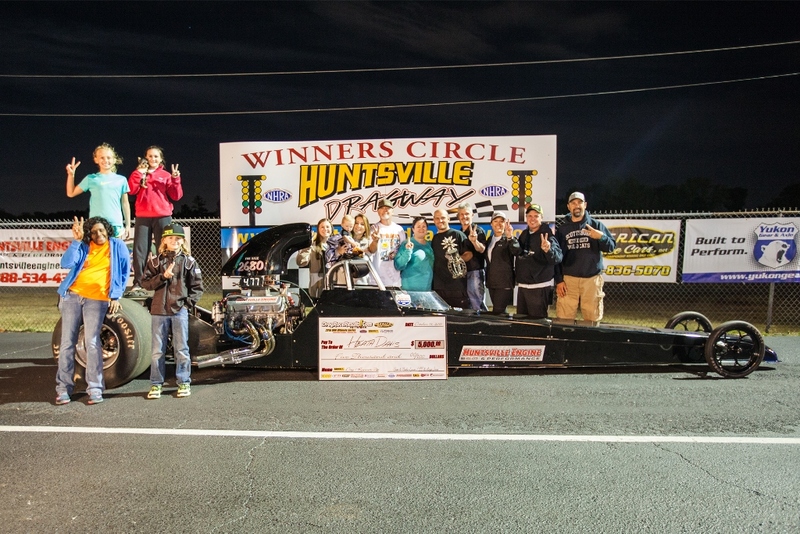 Luke Bogacki visited the Winner's Circle for the 3rd time in 2016 with his Wife Jessica's American Race Cars built dragster for the Runner Up on Saturday Night. Carrying his 2nd place points number for the weekend, Luke made a power move on Saturday which put him in place to secure 2nd overall in the points series for 2016. 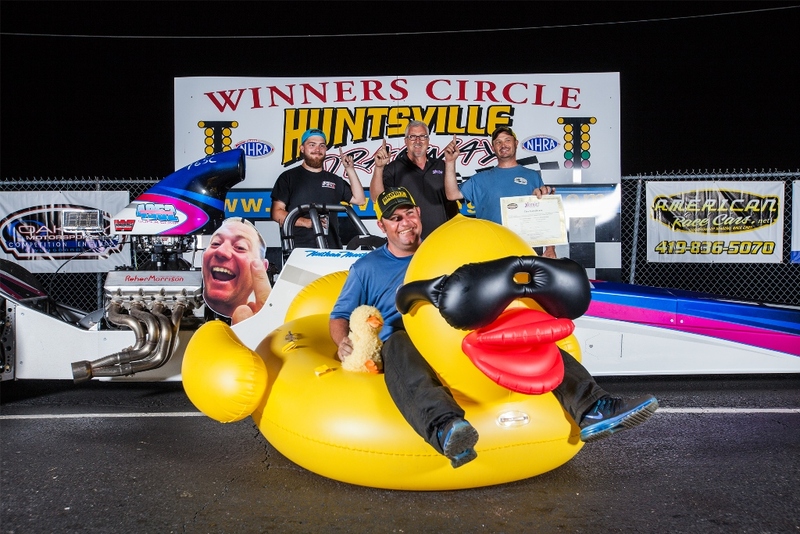 Chad Sandlin driving good friend Nathan Martin's new dragster won the Hoosier Racing Tires Duck Race Saturday night when he defeated Randy Folk in the "FREE" 16 Car Shootout for the Hoosier Tires. Folk received $250 and the Semi Finalists each received $150 thanks to Hoosier. 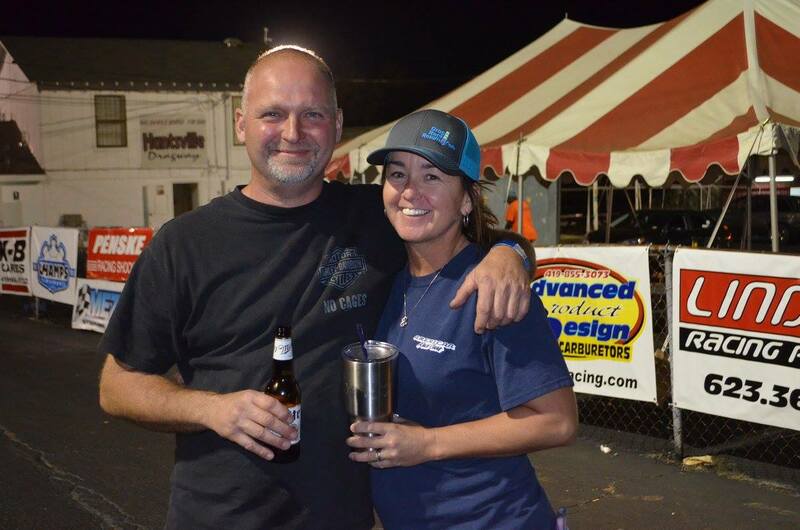 Randy Scheuer capped his great weekend off with a new Complete Aluminum Center Section in the "FREE" Yukon Gear and Axle Run for the Center Section with his dead on .0000 lap on Saturday morning. 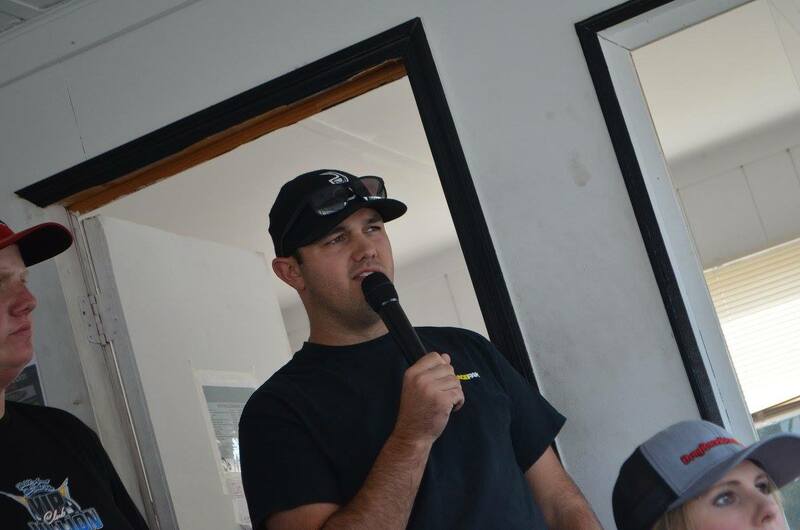 David "Bird" Jones who once again showed he is one of the most versatile drivers in bracket racing by jumping in a car he has never driven before and taking it straight to the big stage. 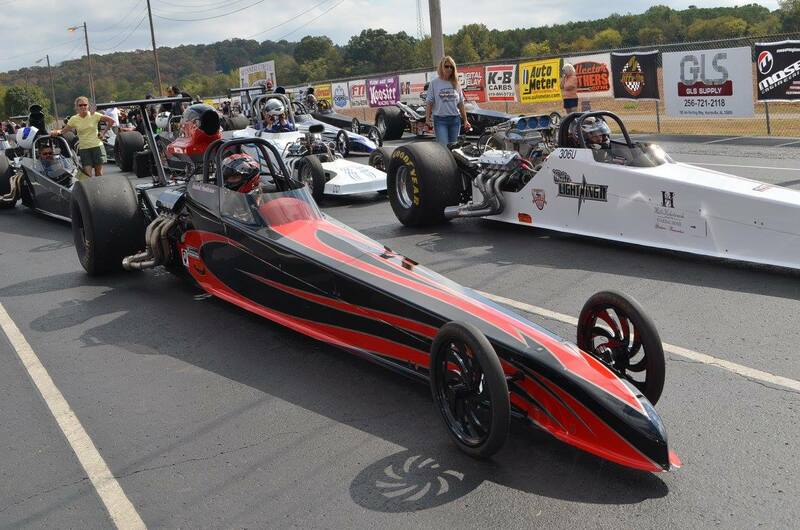 Yukon Sunday brought another $25,000 and Bird was determined to make it his, driving the wheels off of Dillon Bontrager's new dragster. 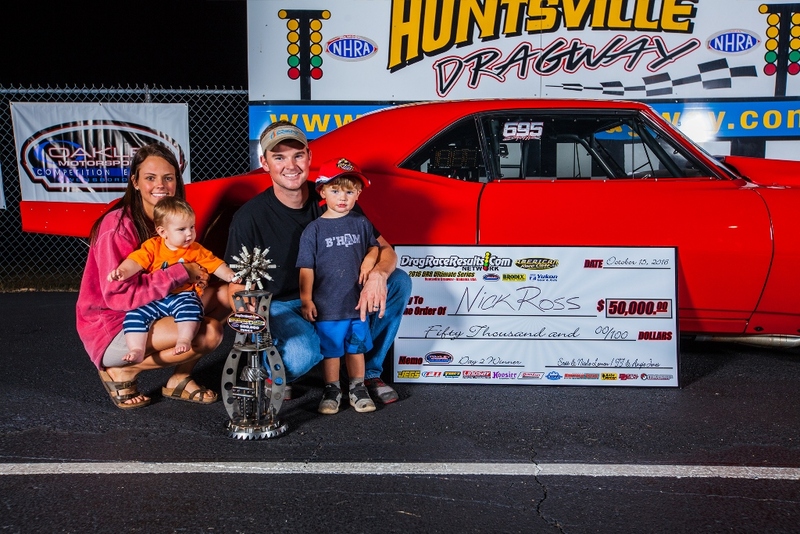 A .016 lamp dead on 1 was all it took to put away Big Money Bracket Racer Tommy Plott in the final round. Jones defeated Kenny Underwood in the quarters and was recipient of the bye in the Semi finals. Tommy Plott attended all 3 weekends of the 2016 DRR Ultimate Series and made it "pay off" on the last day with his Runner-Up performance on Sunday afternoon, collecting a coveted DRR Cold Hard Art Trophy and a Big Check for his efforts. Plott defeated Randy Folk with a .015 bulb, dead on 2 in the Semi finals. 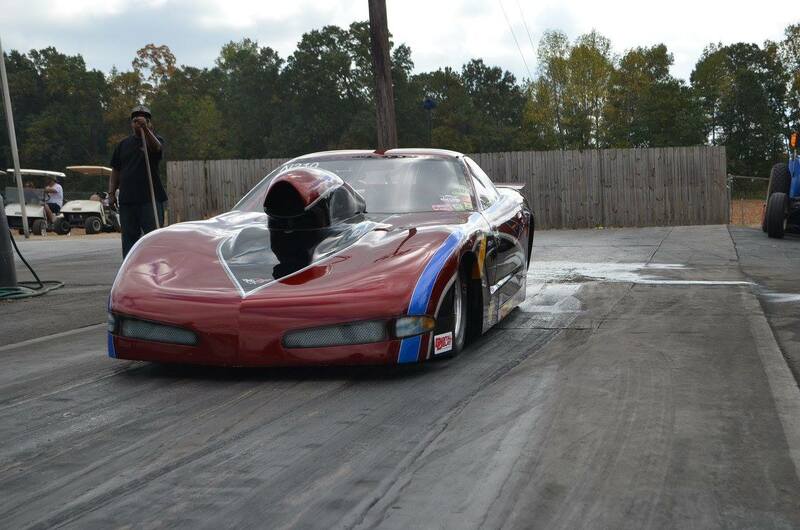 KB Kevin Brannon brought the Pro Charger to Huntsville going 4.13 175 mph off the trailer!